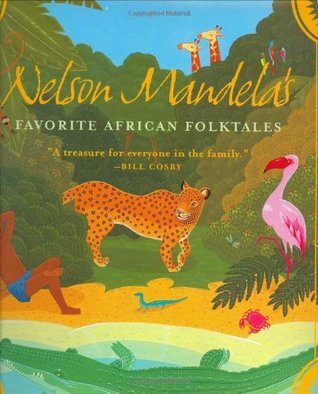 This is a powerful picture book biography highlighting Nelson Mandela’s contribution to South Africa and the world. Unlike many other biographies which provide historical timelines with dates, places, and events, this book offers the reader emotions and inspiration. In simple to understand terms and paintings, Kadir Nelson explains the political climate that Nelson Mandela grew up in and discusses apartheid, discrimination, and freedom. 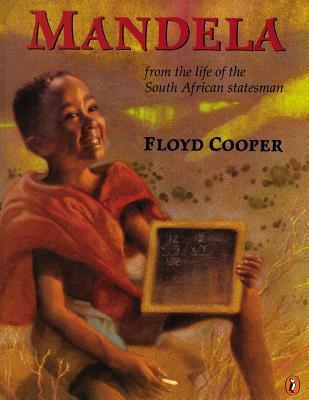 Floyd Cooper’s picture biography of Nelson Mandela provides young readers with details about the man’s life as a small boy growing up in Africa as the son of a dethroned chief of the Thembu people. The majority of the book centers around Nelson Mandela’s childhood and gives a quick overview of his adult life. Cooper begins by telling the reader that Nelson Mandela’s name was Rolihlahla, meaning ‘troublemaker’ but was changed to Nelson when he became a student in an English school. His father taught him to stand firm for what he believed was fair and right. Then his father died and his mother took him to another village far away to continue his schooling. There he lived in the home of another chief who owed a debt to Nelson’s father. To follow in his fathers footsteps and be a counselor to the kings, Nelson had to continue his education. He and the chief’s son went to the finest African schools. However he was expelled when after protesting for better food he quit the student council. Then later he and the chief’s son ran away from home because they did not like the brides chosen for them by the chief. When the chief found the young men, he allowed Nelson to stay in Johnesburg and go to school. But he had to live in an overcrowded house with no plumbing or electricity. Eventually, he began working for a small law firm to help him get through school. Nelson Mandela learned of the terrible conditions his people lived in and the suffering they endured because of the unfair laws. He worked with other people who wanted change and called themselves the African National Congress. The ANC included black Africans, brown Indians, and white Englishmen who all worked to end apartheid through planned strikes, marches, and protests. Mandela was imprisoned for standing firm for what he believed to be fair and right, as his father taught him. He remained in prison for twenty-seven years and after his release helped create a new constitution for the people of South Africa. Nelson Mandela was elected the first president in the election in which all Africans voted.